How digital menu board features make you more efficient. Ideal display mounting and positioning tips. All the missed and hidden costs of installation. Get your download today & don’t miss out on the newest innovation! 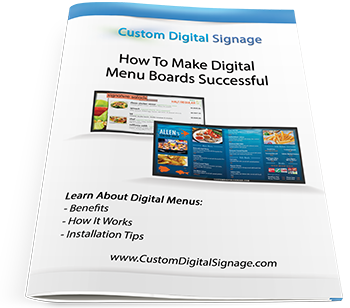 Downlad our e-book for the secrets to making a digital menu board successful.You'll also be added to our mailing list but no worries, we never sell information and we will never send you anything that isnt helpful.